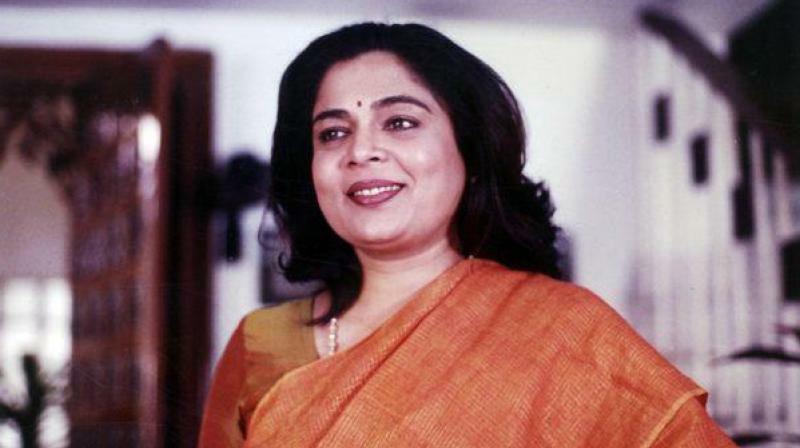 Reema Lagoo was well known face in every Indian household. She was popular for work in Marathi and Hindi cinema. She was a popular television personality, who sadly passed away on 18 May due to a heart attack. Her death was announced by Vinay Waikul, her son-in –law, who informed the media about her heart attack. Her family rushed at the Kokilaben Dhirubhai Ambani Hospital, Mumbai, but sadly she only survived for a few hours in the hospital. She has played the role of reel mother for many Bollywood biggies from Salman Khan to Shah Rukh Khan and Madhuri Dixit to Juhi Chawla. She had taken her family legacy being a second generation actress after Gurinder Bhabhadhe, her mother who well renowned theater artist. Reema started off the acting career with small screen; however she gained recognition from her role in 1988 release ‘Qayamat Se Qayamat Tak’, in which she fulfilled the role of Juhi Chawla’s reel life mother. Later she just went on success ride, with playing the role of mother in hit movies like ‘Maine Pyar Kiya’, ‘Patthar Ke Phool’, ‘Hum Saath Saath Hain’, ‘Kuch Kuch Hota hai’ and ‘Kal Ho Na Ho’ etc. She will also be remembered for her prowess in Marathi Film Industry and her contribution to small screen. She has done some popular television shows like ‘Tu Tu Main Main’ and ‘Shrimaan Shrimat’ etc. Mahesh Bhatt’s television series ‘Naamkaran’ will now mark last work of this Indian Film Industry’s Veteran Talent.